Properly interpreting CERCLA’s statute of limitations often presents vexing problems, and never more so than when claims for natural resource damages (NRD) are filed. As explained several years ago by the Ninth Circuit Court of Appeals in United States v. Asarco, Inc., ordinarily a claim for NRD must be filed within three years of the discovery of the loss and its connection with the release in question. However, a special provision creates an exception to this timeframe when the site is placed on EPA’s National Priority List (NPL). Such NRD claims must then be filed within three years of the completion of a remedial action for the site, a process that can take years if not decades. A case in point is the recently decided case of State of New York, et al., v. Next Millennium Realty, LLC, focusing on whether NRD claims that are otherwise time-barred can be revived if the site is later placed on EPA’s NPL. the cost recovery lawsuit was filed in 2006. The defendants argued that the listing of the site on EPA’s NPL in 2011, approximately five years after the state commenced this action and 16 years after the state discovered the contamination, did not serve to revive the state’s otherwise time-barred NRD claim. 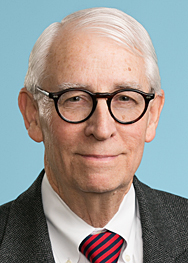 Finding Judge Lodge’s reasoning persuasive, the Court of Appeals “held that upon a plain reading of Section 113(g)(1) of CERCLA, with respect to, any facility listed on the NPL, a [NRD] claim is timely so long as it is commenced within three (3) years after the completion of the remedial action, notwithstanding that such claim would have been untimely under Sections 113(g)(1)(A) and (B) of CERCLA at the time the facility was listed on the NPL.” Judge Feurstein observed that the listing of the site on the NPL did serve to revive the NRD claim, wiping clean the slate with respect to the earlier running of the statute of limitations. Accordingly, under this ruling, the statute of limitations in 42 U.S.C. § 9613(g) will not begin to run until three years after the remedial action has been completed, which may take several years to conclude. For now, it appears that a district court in the Second Circuit and another district court in the Ninth Circuit are in agreement on this statute of limitations issue.